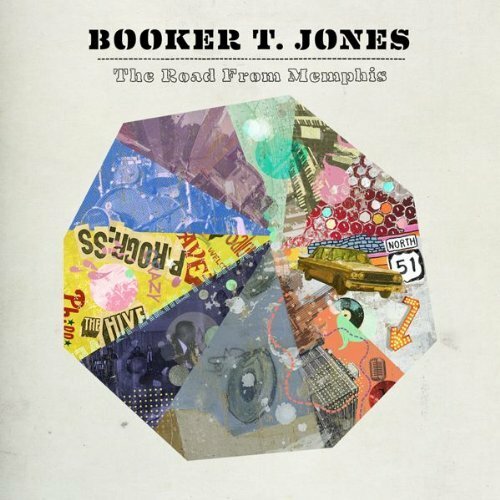 Booker T. Jones’s new album is called, not surprisingly, The Road From Memphis (Anti, 2011). While Memphis may for some musicians be the place where you arrive, for Booker it’s where it all began. In 1962, he went into a Memphis studio with his instrumental ensemble, Booker T & the MGs, and recorded the classic hit "Green Onions" which went to Number One on the music charts. They later backed Sam & Dave and Otis Redding for some inspired sides that made the group the house band for Stax Records for the next 15 years. 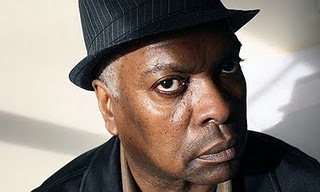 But just when his youthful success was climbing, Booker T. Jones decided to hit the road and head to Indiana University to continue his college degree. It was a 400-mile drive along highway 51 north that Jones came to know so well that he could do it "blind-folded." Says Jones, "I knew that road like the back of my hand. Every turn, every hill, every stretch." 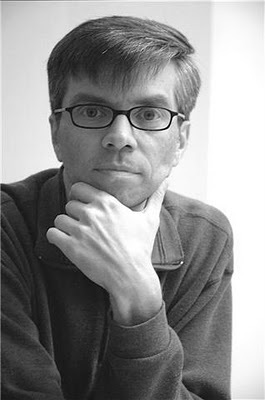 Once at university, Jones finished his degree in music by playing gigs on the weekends, all with the goal to "return to Memphis" to play, record and compose. The Road From Memphis is the culmination of that fruitful sojourn. Jones's new album is chock full of the best funky-soul of that important musical city. His band features Ahmir "Questlove" Thompson, of The Roots, on drums, Owen Biddle on electric bass, guitarists Kirk Douglas and Dennis Coffey. This ensemble is very tight and the music literally pours out of them. The sound mix puts the drums up front, similar to Jones' Stax recordings of the 1960s. But rather than recreate the past, Jones invites some guest vocalists to perform including his taking the lead on one track, "Down In Memphis." On The Road From Memphis, Jones covers a wide swath of musical territory from Cee Lo Green and Danger Mouse song "Crazy" to Lauryn Hill's "Everything is Everything" (both done as instrumentals). The tracks are simply too catchy to describe in words, but Jones's bright Hammond B3 organ sound simply seduces you. The record, like most of the music Booker T & the MGs created, is all about groove. The rhythm section lays it down and the organist improvises against it. Like all the songs on this solid and infectious album, the arrangements are simple and the playing unpretentious. One of the stranger collaborations, though, is with Lou Reed on a song called "The Bronx." Reed's moody vocal sounds strangely like it was done in one take, as he sings about his own affinity with this New York borough. (Even though he was born in Brooklyn!) It’s an unusual album closer and may foresee more creative risks in the future for Jones. The Road From Memphis may not be the artistic equivalent of Jones's adventurous Potato Hole from 2009, but it still sustains his distinct touch: an original, non-synthetic rhythm & blues record from a “well-travelled” musician.